San Diego CA hard rock / New Wave of Traditional Heavy Metal duo TZIMANI will head out on one final tour to support their 2018 self-titled debut EP. 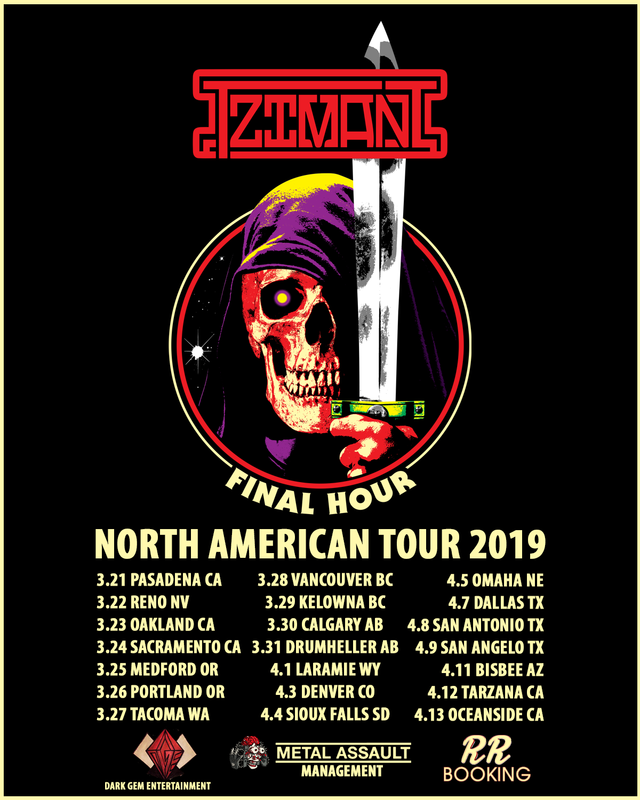 Aptly titled the ‘Final Hour’ tour, this three-week trek will take Tzimani up the U.S. West Coast, through previously unconquered markets in Canada, and back down through select U.S. markets, for a total of 21 shows in 24 days, starting on March 21 and ending on April 13. Following this run, the band will buckle down to write and record brand new music for their next release, set to be out later this year, with more details to be announced very soon. 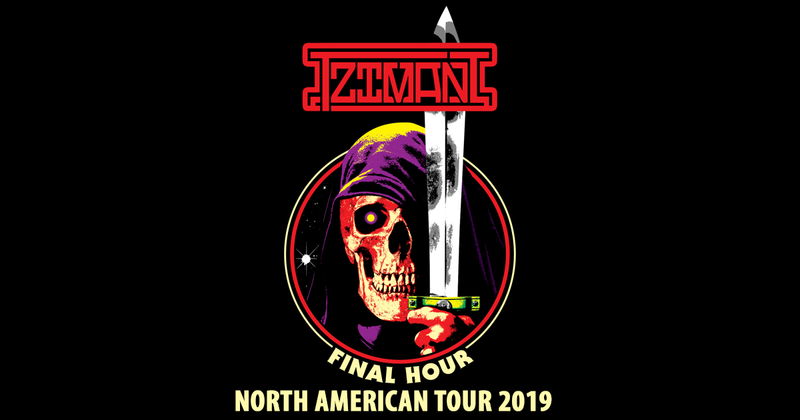 In the meantime, witness the high-octane Tzimani live performance on the ‘Final Hour’ tour! 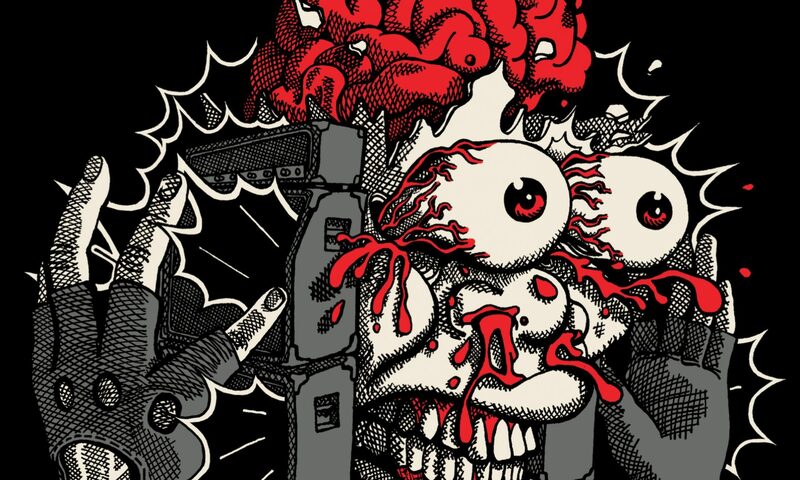 For those uninitiated, Tzimani presents a bold new take on traditional heavy metal which infuses modern elements into old-school stylings that have existed for more than four decades, and giving listeners catchy, memorable tunes that leave a long-lasting impact but are not simply a regurgitation of things already done to death by countless bands over the years. Tzimani stands on the perfect middle ground between the old school and the new school of heavy music, and has the ability to make the same kind of instant impact on fans of both styles. The band’s live performances also reflect this special quality, as the music itself exhibits some of the old-school tendencies, while the two-piece setup gives it a modern feel which separates Tzimani from your run-of-the-mill traditional metal revivalist bands. But don’t take our word for it. Crank the debut EP, come to a show, and find out for yourselves. With an ambitious attitude since day one, Tzimani is by no means a weekend warrior band. The duo released their first two singles in 2017 and toured the Western US in 2017 to promote their newly formed sound. In 2018, they completed three more tours, hitting parts of the East Coast for the first time, as well as playing their first Canadian show, to a rousing reception and unanimous approval from the metal-loving crowd in Vancouver BC. With the Spring 2019 ‘Final Hour’ tour, the band ventures to hit yet more new markets in the US and Canada.